Where Can You Find Recipes That Use Avocados? Numerous avocado recipes are found online at the California Avocado Commission and Allrecipes.com. These websites feature a wide range of appetizers, salads and dishes that use avocado as a main ingredient. Guacamole dip is always popular, and there are many ways to make it from scratch. Many people enjoy fresh avocado in salads, and it is often paired with other salad favorites such as black beans, corn, tomatoes and cheese. A simple salad consists of fresh cucumbers and avocado. A healthy, vibrant salad is made with avocado slices, quinoa and kale. 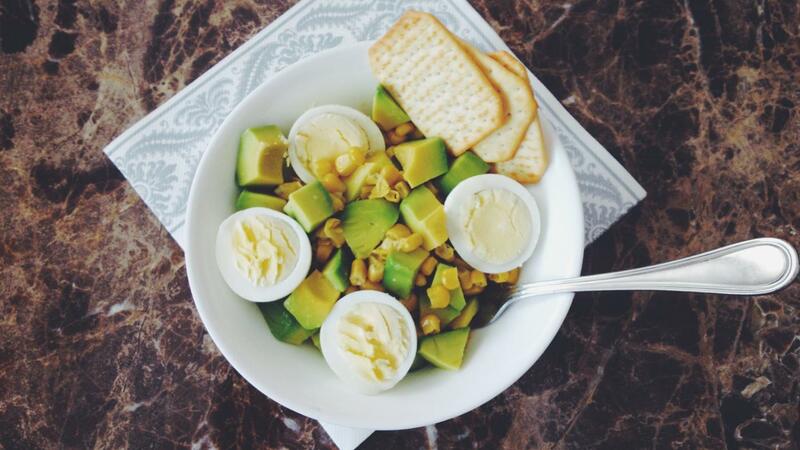 Avocado also adds color and flavor to pasta and potato salad recipes. Avocados make a delicious baking ingredient in recipes for muffins and bread. Drinking an avocado smoothie is a refreshing way to enjoy its smooth texture and nutritious benefits. Avocados are packed with 20 vitamins and minerals, and a 1-ounce serving contains 50 calories. While they do contain fat, it is the good kind of fat that is a healthy alternative to high-cholesterol fats. And, since avocados don't contain sodium or cholesterol, they are a great choice for dieters. Fresh avocados have a hard, or soft, texture and heavy weight. The best avocados to pick are ones without blemishes or loose pits. Avocados ripen in two to five days inside of a paper bag. What Are Some Venison Summer Sausage Recipes? Where Can You Find Recipes for the Best Oyster Stew? Where Can You Find Online Recipes for Meatball Sauce? Where Can You Find Easy Cookie Recipes? What Are Some Good Recipes for Chicken and Veggie Stir Fry? What Are Some Spicy Mexican Recipes for Jiffy Cornbread Mix?